Dnt. madhavi and her staff were great! They got my 9 year old in immediately. They were very friendly and professional.Great experience. Dnt Madhavi was excellent! She really made sure my 4 year old had a great experience. All of her staff wasamazing as well - very professional and friendly. Also, they took us to the exam room immediately upon arriving (a cpl minutes before scheduled appt). Dnt Madhavi was excellent! She really made sure my 4 year old had a great experience. All of her staff was amazing as well - very professional and friendly. Also, theytook us to the exam room immediately upon arriving (a cpl minutes before scheduled appt). 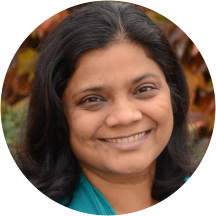 Dr. Madhavi Yellamanchili is a soft-spoken, intelligent, hardworking dentist with lots of patience. She helps her patients overcome their dental fears by providing the most gentle and compassionate touch in her treatment. She is passionate about delivering the highest quality compassionate dental care to her patients. Dr. Yellamanchili graduated with a Bachelor’s Degree in Dentistry from the University of Dental College of Vijayawada, India in 1998. She immigrated to the United States in 2001. Within a year of studying at the University of Southern California, Dr. Yellamanchili challenged the National and State Board exams and passed with outstanding results and obtained her Doctorate of Dental Surgery. Dr. Yellamanchili has been practicing general dentistry in the United States since 2003 and has practiced in Roseville for 11 years, opening her own practice in 2014. Dr. Yellamanchili has an advanced dental education from the University of Pacific, UCLA, and the Scottsdale Center which enables her to be an efficient general and cosmetic dentist. She takes pride in her experience in providing the highest quality of dentistry possible. Dr. Yellamanchili enjoys spending time with her husband and three boys. In her spare time, she loves to play tennis with her friends and cook. Everyone there was so kind, polite and professional!! I scheduled a same day appointment, was seen on time and professionalism and bedside manner of Dr Yellamanchili and her staff were off the chart. She fixed my broken tooth immediately. Many thanks!!! The office is very nice! Joanna and Madhavi were very sweet and very helpful. They were great I would recommend them to everyone. Dr. Yellamanchili's office is spectacular. I feel extremely comfortable there and always have my needs met. She did a beautiful job on my veneers and made it as easy and painless as possible. I had a short window of time thatI could make an appointment due to work and a family reunion and Joanna worked hard to squeeze me in and called me right away when my veneers arrived. Dr. Yellamanchili and the dental assistants talk to you during the entire exam and ensure that you are comfortable and not in pain. I would highly recommend this office for any dental need! Went very well!! The young lady's at the front where friendly and professional?? The dental assistants and Dentist professional and funny, let me know what was going on and got me out asap. Thank you! !